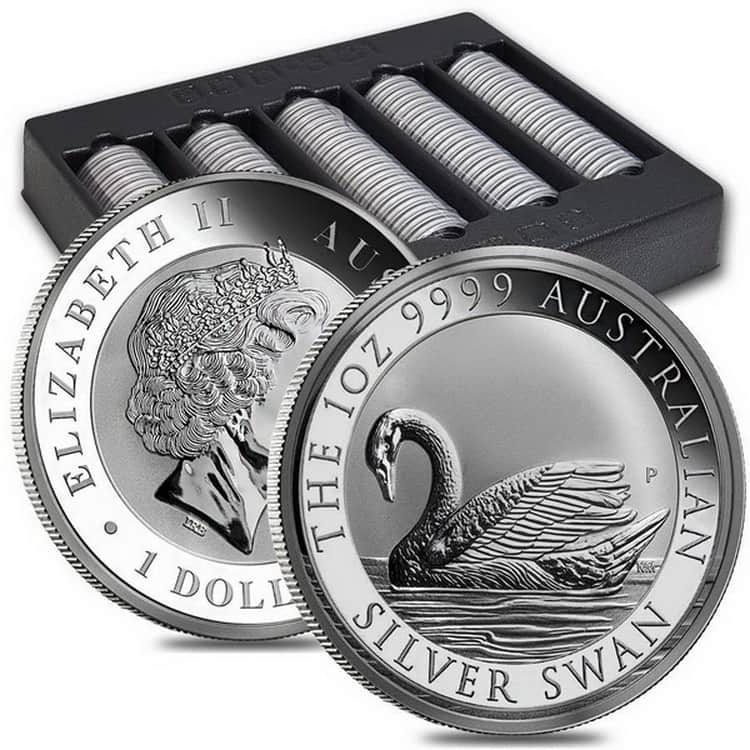 Australian gold and silver coins of the “Swan” series started to be minted in 2017 due to the success of the previous series of investment coins made of precious metals “Panda” and “Kangaroo”. The series is represented by only two denominations of 1 and 100 Australian dollars. However, it has already become one of the most successful series, since all its circulation was sold during a few days after issue. 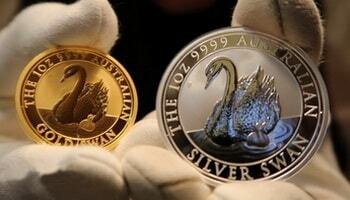 You can find all Australian gold and Silver coins in our catalog. Obverse: glossy profile of Her Majesty Queen Elizabeth II on the matte surface; stamp of engraver Ian Rank-Bradley – “IRB”; inscription «ELIZABETH II AUSTRALIA 2017 *1 DOLLAR» on the glossy rim of the coin. 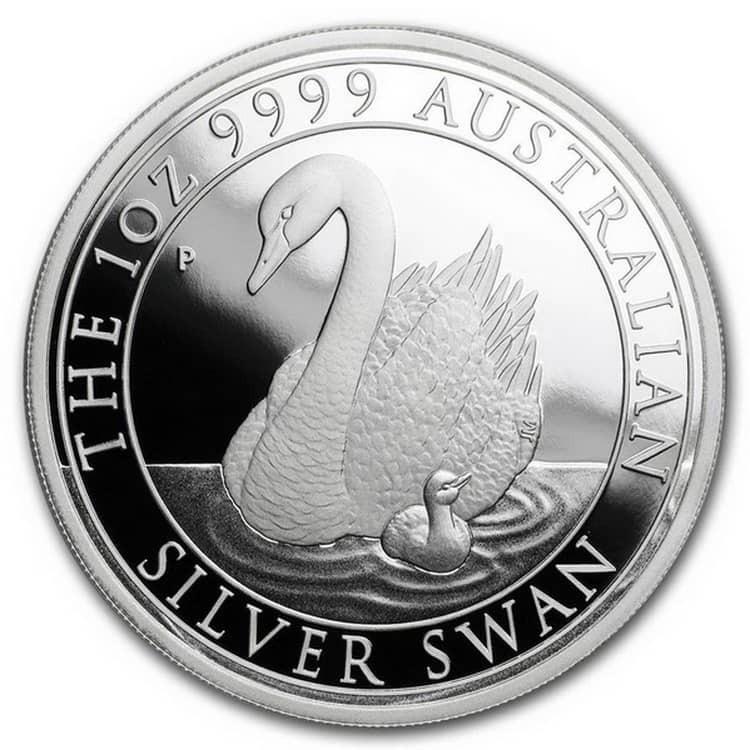 Reverse: glossy, matte and ridged surface; swan on the water; stamp of the Perth Mint “P” and artist-engraver Natasha Mul “NM” next to it; inscriptions «The 1oz 9999 AUSTRALIAN» and «SILVER SWAN». All 100 Dollars Australian gold coins in our catalog. 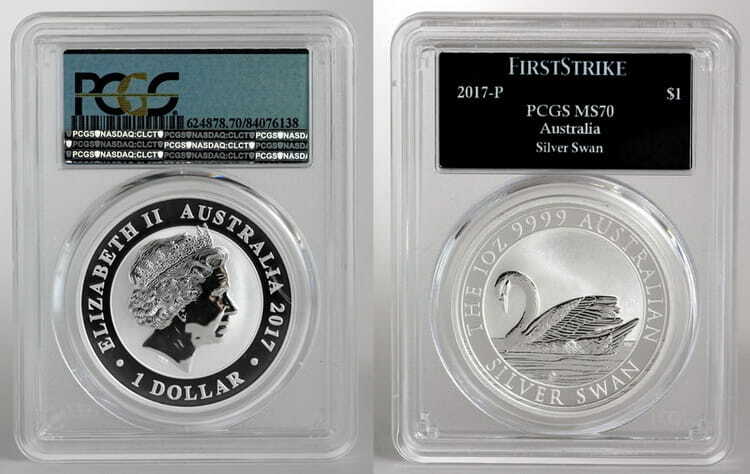 Reverse: glossy, matte and ridged surface; swan with a nestling on the water; stamp of the Perth Mint – “P” and the stamp of the 12th head engraver of the US Mint John Mercanti – “J.M.” next to it; «The 1oz 9999 AUSTRALIAN» и «SILVER SWAN». All 1 Dollar Australian gold coins in our catalog. 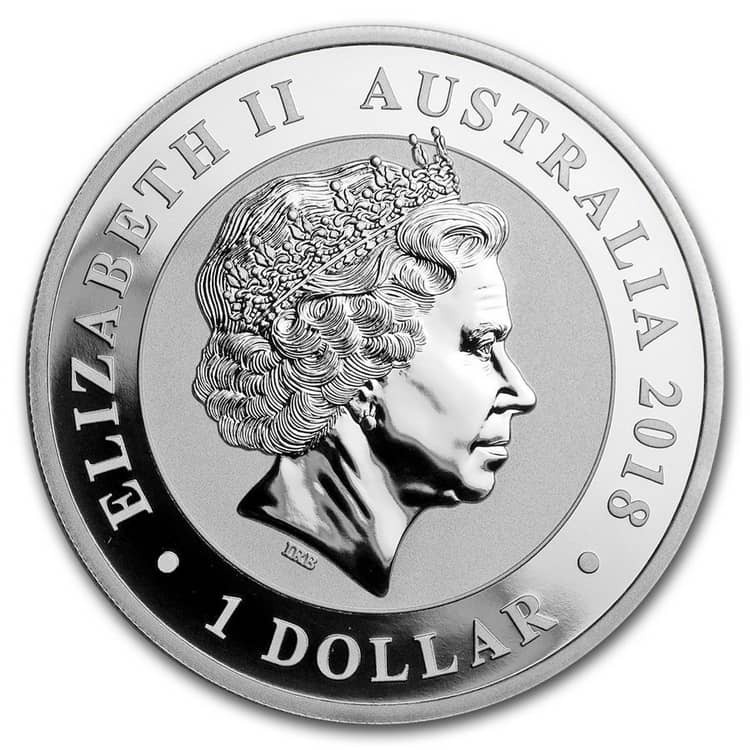 Obverse: glossy profile of Her Majesty Queen Elizabeth II on the matte surface; stamp of engraver Ian Rank-Bradley – “IRB”; inscription «ELIZABETH II AUSTRALIA 2018 *100 DOLLAR» on the glossy rim of the coin. 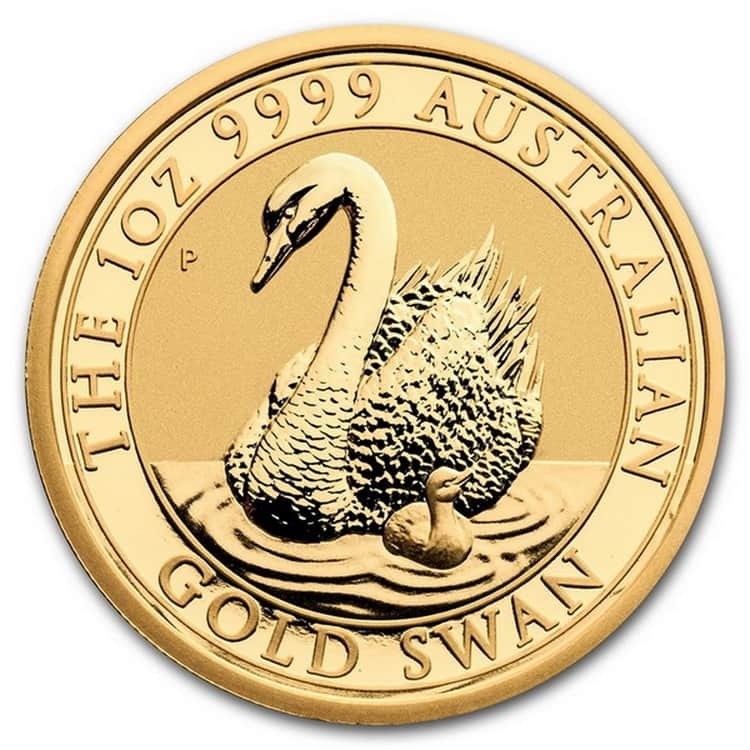 Reverse: glossy, matte and ridged surface; swan with a nestling on the water; stamp of the Perth Mint – “P” and the stamp of the 12th head engraver of the US Mint John Mercanti – “J.M.” next to it; «The 1oz 9999 AUSTRALIAN» и «GOLD SWAN». At the end of the 20th century, the Perth Mint began to mint the series of investment coins with animals that reflect the rich and unique fauna of Australia. 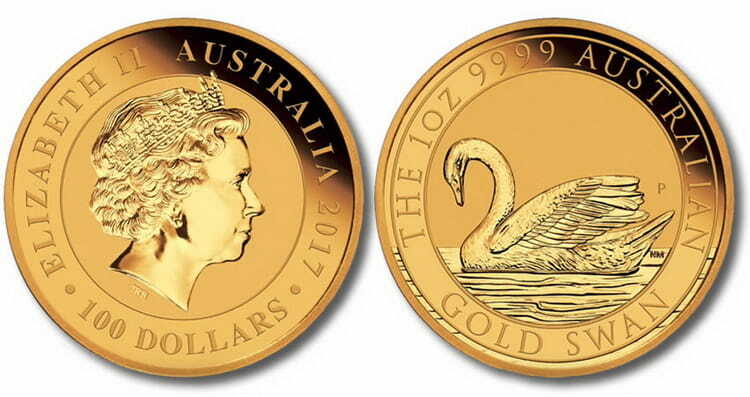 The success of such series as “Kangaroo”, “Kookaburra ” and “Koala” prompted the creation of a new series of gold and silver coins, which depict swans – one of the symbols of the Perth Mint, located near Swan Lake. 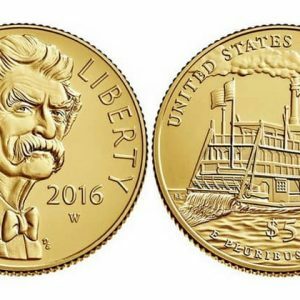 This series has already become popular among investors and collectors because of its highest quality of gold and silver and the exclusive design of coins for each year of issue. Their personal stamps can be seen on coins along with the stamp of the Perth Mint. gift packaging for one coin in a plastic capsule. 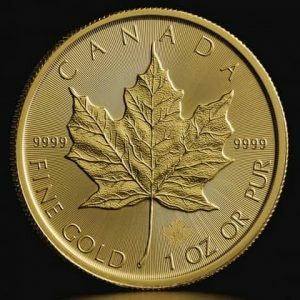 In addition, there were produced sets, packed in gift cases of three coins (two silver coins with the “proof” quality of minting and one gold with the “diamond” quality of the minting), which were issued in a limited edition of 250 coins. 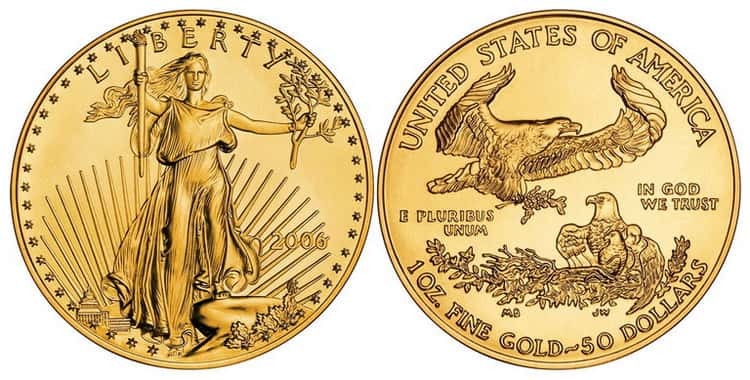 Due to the fact that coins of this series are made of silver and gold with a fineness of 999.99, the price for them can several times exceed the denomination. 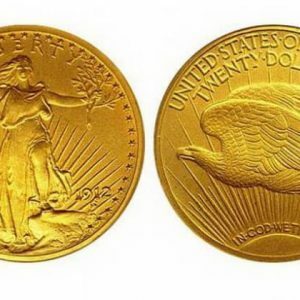 This is primarily affected by the small circulation of this series and the cost of an ounce of silver and gold on world exchanges for the purchase/sale of precious metals. 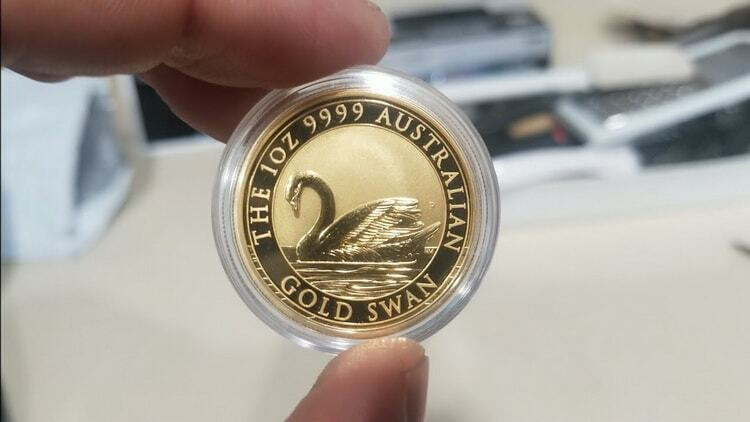 100 Australian gold dollar – 1361.99-1481.24 AUD. Visitors of the Perth Mint can find out the value of their own weight at current gold prices by standing on special scales. The Perth Mint obtains Australia’s largest collection of natural gold nuggets, plates and crystals. The stone walls of the smelter shop of the Perth Mint are literally soaked with gold dust accumulated here for many decades of work. 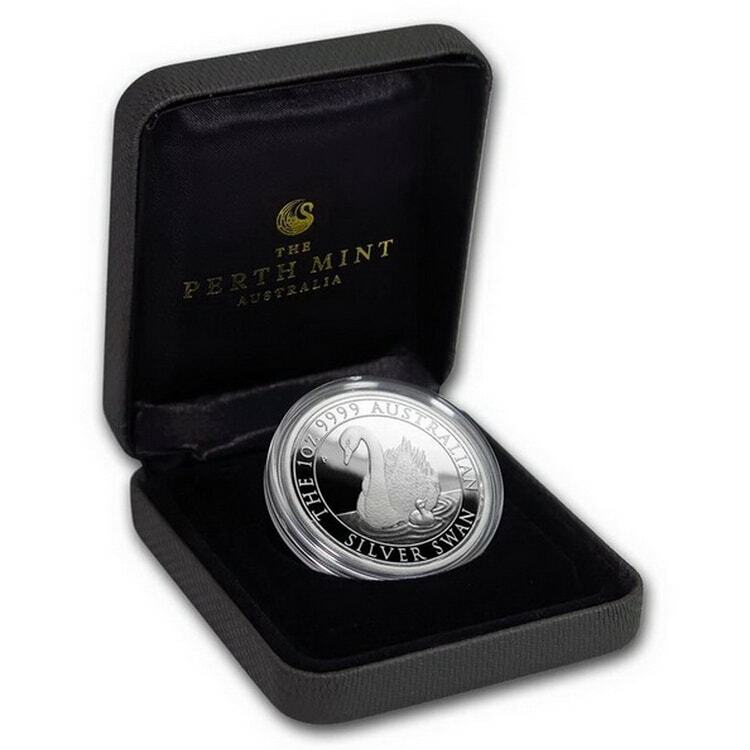 In 2015, the Perth Mint introduced a secure online trading platform for precious metals trading, which allows investors to buy and store gold, silver, and platinum at the mint. Sketches of future coins are always made manually, and only then transferred to the computer program. On their basis, they manually mold its bulk model in the size of a large dinner plate, while the design details can be thinner than a human hair. The stamp layout is also performed manually using a microscope.